Prof. UWr dr. hab. 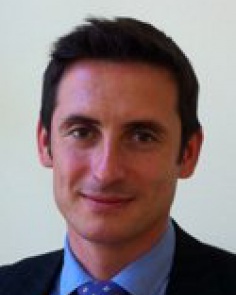 Dariusz Adamski is specialized in European law, economic law and law of information technologies. He teaches courses on various aspects of European law, as well law of information technologies from antitrust to IP to free speech to cybercrime. He has research experience gained at leading European and American centers, including Harvard (Fulbright Fellowship, 2008-2009). He has published extensively in Polish and in world’s leading legal journals (including “Common Market Law Review”, “European Law Review”, “European Law Journal”) on European law and governance, economic and financial law, as well as on constitutional law. He has recently concentrated on institutional consequences of the euro area crisis and on legal underpinnings of economic reforms. He is a research associate at the European Research Centre for Economic and Financial Governance and an expert at the leading Polish economic think-tank Forum Obywatelskiego Rozwoju. Member of the Editorial Board of Journal of Law, Technology & Public Policy. Dariusz complements academia and teaching with practice spanning from domain names resolution to advising the European Commission to consultancy for public authorities and the private sector.